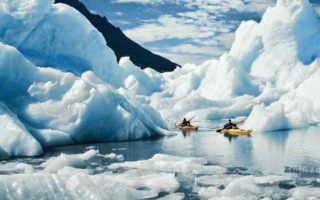 Kayak amongst icebergs, ice hike atop glaciers and hike the famous ‘W’ route in Torres Del Paine National Park. Spot wild guanacos, condors, penguins and other wildlife as you journey amongst turquoise lakes, hanging glaciers and jagged granite peaks. Is your idea of a South American adventure hiking the Inca Trail or hitting Patagonia’s backcountry by foot? 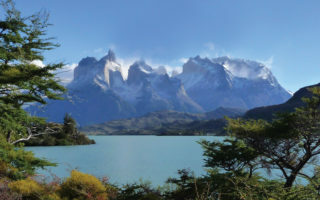 If that’s the case, these South American hiking trips are a great fit for you. 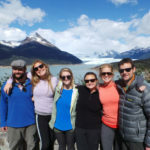 Designed with hiking and trekking as a primary component, these active South American travel options offer plenty of time on the trail while also incorporating incredible cultural and adventure opportunities along the way. 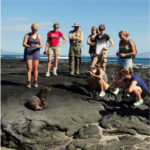 Knowmad was born in the spirit of adventure and exploration, and we cater to the independent-minded traveler. 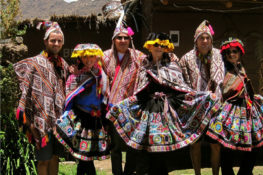 Use these suggested itineraries as building blocks to design your own unique itinerary, or work with a Knowmad Trip Specialist to create a custom trip as unique as you are, while taking all the stress out and ensuring an incredible South America trip. Learn more about the custom travel planning process here. 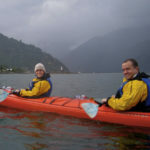 Trips in our Trekking category typically involve multiple nights in the backcountry, although sometimes they do include lodges or lodge upgrades are available. All camping equipment is generally provided, except for sleeping bags that can be rented at a small additional cost. Equipment used is of the highest quality with expedition grade tents, large and comfortable sleeping pads, cook and dining tents in case of weather, and more. 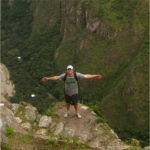 We always manage the flow of our treks to avoid any trail crowds that may exist, such as on the Inca Trail. 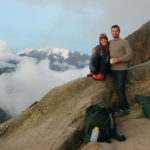 Get more information on why to choose Knowmad for your Inca Trail hiking trip. How Active Are Knowmad Treks? Most trips in the Trek category involve many hours on foot during a given day and take place in the backcountry, and are therefore rated as ‘vigorous’. Those that are not at elevation and do not involve significant elevation changes may be considered ‘moderate’. Average durations and distances are often provided to help you gauge the difficulty, and we encourage you to email a travel specialist for more information.